"Sharkey’s book is magnificent scholarship." "Patrick Sharkey’s Stuck in Place is one of those rare books that will become a standard reference for students and scholars of inequality. Examining longitudinal data over a period of four decades, Sharkey provides compelling arguments on how inequality clustered in a social setting can be addressed with a durable urban policy agenda. This important and incredibly perceptive book is a must-read." 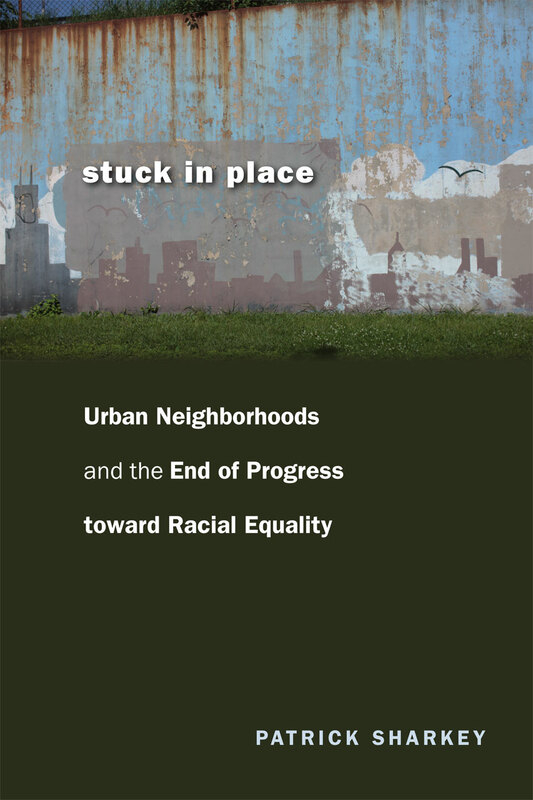 "Stuck in Place is a powerful analysis of how neighborhoods are implicated in perpetuating severe stratification between blacks and whites across generations. Patrick Sharkey’s robust findings are sobering and disturbing—even for experts in the field—and leave no room for debate about the need for massive investment in America’s poorest neighborhoods. Like The Truly Disadvantaged and American Apartheid before it, this book will be impossible to ignore and will set the agenda for decades to come." "Patrick Sharkey’s comprehensive and compelling analysis clearly explains how segregation, by concentrating disadvantage in black neighborhoods, continues to divide US society into divergent black and white social worlds that remain truly separate and unequal, decades after the Civil Rights Era. His work eloquently reminds us that a segregated society can never be a just society, and that segregation remains at the core the American dilemma, even in the Age of Obama."